Remember J.R. Smith? Yes, the same J.R. Smith that was instrumental in helping the Cleveland Cavaliers win the 2016 NBA Finals is still on the team, but while Collin Sexton and company are losing games, Smith is sitting on his couch playing NBA 2K19. He is still under contract, and since he left the team 11 games into the season, Cleveland has been looking for a trade partner to take him. Smith may be doing jack squat for the Cavs, but he does hold some trade value. He can still help a contending team, and his partially guaranteed contract for 2019-2020 can help a team create cap space. The trade deadline is less than a month away, so the Cavaliers should redouble their efforts to ship Smith elsewhere. Here are the three best ways they can do that. 3. To the Dallas Mavericks for Dennis Smith Jr. The Mavericks are three games under .500, yet are still very much in the thick of the playoff hunt in the strong Western Conference. The Los Angeles Lakers currently own the eighth seed, and are only three games over .500. They have a young star to build around in Luka Doncic, but their first-round pick from 2017, Dennis Smith Jr., appears to be on his way out of town. He is clearly dissatisfied with his role, and it may be better for Dallas to just move on from him now, rather than risk his value dropping even further. Smith is a young player with potential, something the Cavaliers are in desperate need of. He plays both point guard and shooting guard, so his fit with Collin Sexton may be a bit odd. Even though Smith is a better passer than Sexton, Smith would likely play the two-guard, as the Cavs are still heavily invested in their rookie. Smith’s small salary (about $3.8 million) makes a trade difficult for Cleveland, but reports are that the Mavericks are trying to include Wesley Matthews in a Smith deal. This is good news for the Cavs, as Matthews’ $18.6 million salary makes things much easier. Matthews and Smith Jr. for J.R. Smith (confusing, right?) and Alec Burks works salary-wise, although the trade wouldn’t be able to happen until January 28th, when Burks’ trade restriction expires. Burks and Smith would be able to replace the production of Matthews and give the Mavs players who work better without the ball in their hands. Matthews would become a free agent after the season, his nearly $19 million cap hit coming off of Cleveland’s books. And the real prize would be Smith Jr., giving the Cavaliers a valuable young player to develop, something they cannot have too much of right now. Like Dennis Smith Jr., Fultz would be an interesting fit next to Collin Sexton. He is a point guard by trade, but also played shooting guard in college, and his shooting ability (at least back then) was certainly good enough to make him an effective SG. Unlike Smith, Fultz was the consensus first overall pick back in 2017. His size, athleticism, scoring ability, and playmaking made him an elite prospect, the player that was to finish Philadelphia’s “Process”. However, a constant string of poor play, injuries, and drama has completely derailed his career. Things have advanced to the point where the Sixers may be content to just cut their losses and move on from Fultz, eliminating the drama surrounding the situation. If that is the case, the Cavs must do whatever it takes to acquire Fultz. There is no guarantee that he ever returns to the form that made him a prized prospect, but in Cleveland, he would not be under pressure to help a championship contender, and could heal completely from his injury, as well as rebuild his lost shooting form. Fultz has the potential to be a perrennial All-Star, and even though Cleveland already has a young point guard, Sexton is nowhere close to the prospect that Fultz was. Even if the two cannot coexist perfectly, Fultz has to be the Cavaliers’ top target at the trade deadline. A team devoid of young players and future draft picks cannot afford to pass on the chance to add a former #1 overall pick at a steep discount. The 76ers are in need of bench help, specifically wings who can handle the ball well but who can also function without the rock. 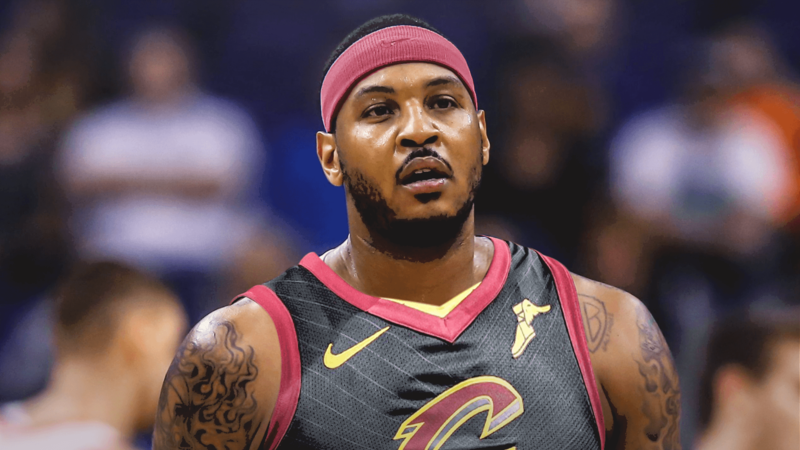 If the Cavs really want to make a splash and inject some young talent into the team, they can send J.R. Smith, Alec Burks, and Rodney hood to Philly in exchange for Fultz, Furkan Korkmaz, Justin Patton, and Wilson Chandler. Philadelphia drastically improves their second unit for a playoff run, and the Cavaliers wind up with Fultz and two other solid young prospects in Korkmaz and Patton. This would leave the Cavs unable to make any other salary relief trades this season, but Fultz would be worth much more to this rebuilding team than a couple of heavily protected future draft picks. When The Rockets signed Carmelo Anthony in the offseason, it looked like a solid move. Anthony would give the team another scorer, one to lead the second unit when James Harden and Chris Paul were resting. In the 10 games he spent with the team, Anthony had some good performances, along with some very bad ones. Much like the Cavs and J.R. Smith, the Rockets and Anthony parted ways. Since then, Houston has been looking for ways to move on from Anthony. He is making only $1.5 million this season, so the Rockets could have just cut him a long time ago, but they haven’t for some reason. Rumors have swirled for months that Houston has been interested in J.R. Smith, but no trade has materialized as of yet. By adding Smith, the Rockets will gain a bench player to help them this season, and create cap space for next year. They will also rid themselves of Anthony. The Cavs would most likely waive Anthony immediately, allowing him to sign with any team that actually wants him. In order to match salary, Cleveland would also acquire point guard Brandon Knight, who is owed $14.6 million this season and and $15.6 million in 2019-2020. Next year, his expiring contract would become a valuable asset for the Cavs, who would also gain a few draft picks in this deal. The Cavaliers would then have Alec Burks and Rodney Hood to deal this year, with Knight, John Henson, Jordan Clarkson, and Matthew Dellavedova likely to be dealt next season.